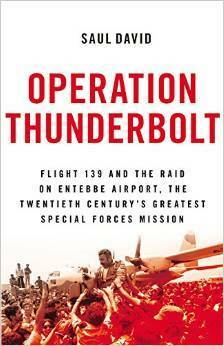 I think this is the definitive account of the incredible rescue operation that Israeli paratroopers did to release the Air France Flight 139 hostages held captive in Entebbe (Uganda) after the hijacking. I read some other books previously on this raid and, while they were good reads, they were more like hagiography rather than serious history. David's account gives many important details, such as the true extent of negotiations with Kenyan officials, what happened to Dora Bloch, and the real happenings when paratroopers stormed the room where hostages were held. In sum, the story reads like a thriller yarn but it's solidly backed by historical evidence. I only wish all other history books were like this. I found it difficult to put down until I finished. Sign into Goodreads to see if any of your friends have read Operation Thunderbolt.